The Quinnipiac Bobcats have dipped into Nova Scotia once again on the recruiting trail. 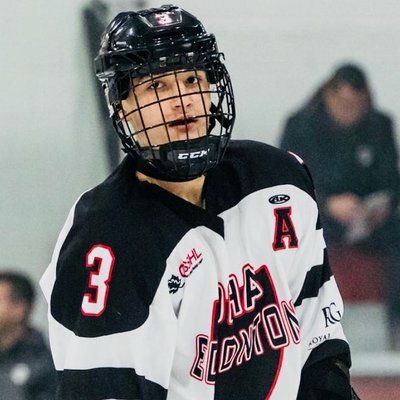 After picking up three Nova Scotian players born in consecutive years (2000, 2001 and 2002) they now have a 2003 born commit in defenseman Oscar Plandowski, a Halifax, Nova Scotia native presumably for the 2022-2023 season. Plandowski is a 6'0, 165 pound blue liner who is currently for OHA Edmonton Bantam Prep in the CSSBHL. In 22 games played he has 17 points (3 goals, 14 assists). In 2016-17 he played for the Halifax ACCEL Hawks Major Bantam team where in 33 games played he had 14 points (6 goals, 8 assists). He is a player that comes from a strong hockey family as his father Darryl Plandowski played four years at Northern Michigan University and was the captain of the the 1991 National Champion Northern Michigan team that won 8-7 over Boston University in triple overtime to win the title. His father is currently a head amateur scout for the NHL Tampa Bay Lightning organization while his mother is a power skating coach. A source told me that two prominent western schools that have won multiple national championships had significant interest in him prior to committing to Qunnipiac. He joins recent commit Jack Silich as the second 2003 born player to commit to Quinnipiac.